The Bureau of Land Management (BLM) has pulled back an outrageous proposal to lease federal public lands for oil and gas development at the doorstep of Zion National Park. And it was citizen action that made the difference! The problem emerged this past winter when the BLM identified two parcels near Zion for inclusion in a September 2017 oil and gas lease sale. The parcels of land are less than two miles from the park boundary, lay clearly within the park’s viewshed, and are traversed by the Kolob Terrace Road – a popular access route to the backcountry portion of the park. The parcels also abut the town of Virgin and are transected by a popular mountain bike trail. Local citizens, supported by conservation groups including SUWA, jumped into action. Several hundred people packed a local information meeting in the tiny community of Virgin. In response to the encouragement of local residents, the towns of Springdale and Toquerville passed resolutions against leasing. The Washington County Commission, concerned especially about impacts to water resources, followed suit. Two dozen local businesses joined together to write the BLM. And letters poured in from around the country. In total, more than 40,000 people wrote comments objecting to the proposed lease sale. SUWA offers a big thanks and congratulations to everyone who helped. This victory is a great reminder that even in these tough times we can prevail in protecting Utah’s wild places when citizens join together to speak out! 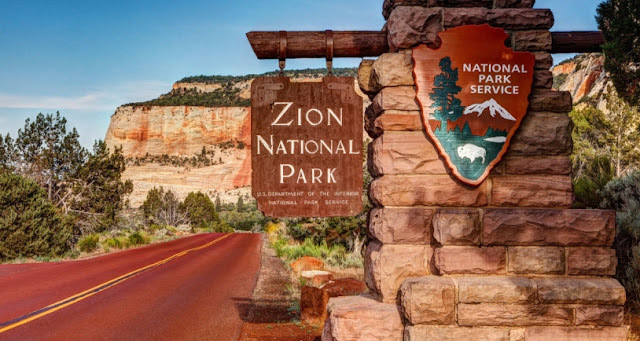 Responses to "Big Win: Zion National Park Spared from Proposed Oil and Gas Leasing"